Although many businesses cannot be everywhere all the time... here at A Sign Co we get the word out for you! We make shirts and hats to advertise your business. Portable signs, decals and truck lettering are other ways to get more visibility. We also make stationary, business cards, pens, calendars, license plates, and do laminating. 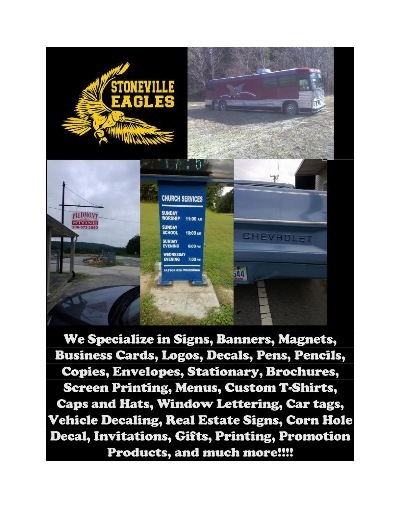 Give us a call for your advertising needs.